Are you a new bride or groom? Will you be taking on one or some of these? I’d love to hear from you! Navy is the new black for the 2018 wedding season! You’ll see many couples opting for navy or a dark blue as a neutral shade in their color palette. This always looks great on film too as it’s not as harsh as the black is. This is one of my favorite photography projects to do because I love capturing this moment that are often surprises. 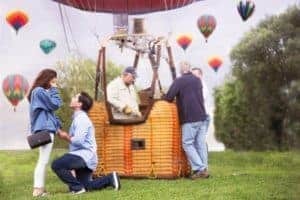 (You can see one of my latest shoots where the groom proposed at a hot air balloon festival, swoon!) This is picking up popularity too and we’ll continue to see it in 2018. 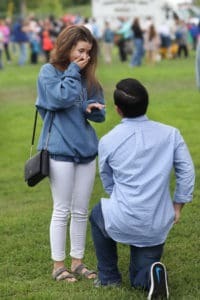 Are you looking for a surprise proposal photographer? Let me know; I’d love to help! Metallics are still all the rage – but instead of using brass, rose gold and gold – you’ll start to see chrome and silver being mixed in 2018. Obviously you’ll want to see all of your wedding photos ASAP but it does take time for me to edit them and make sure they are 100% perfect – which unfortunately doesn’t happen overnight. What I can include for you however is a few key, edited images the next day so that you can share them on social media, we call this a sneak peek. You’ll see more of this in the New Year as well and make sure to ask when you’re booking me – I’m happy to include this for you! Speaking of social media – the trend will keep on in 2018. Many couples are also coming up with a personalized hashtag and asking guests to use it when uploading photos to Instagram or Twitter. This is a fun way to help you experience your day through your guests’ eyes. You can also use an app called Artifact Uprising which will allow you to upload photos from Instagram and create actual, printed hardcover books, calendars and postcards to make insta-artworks! 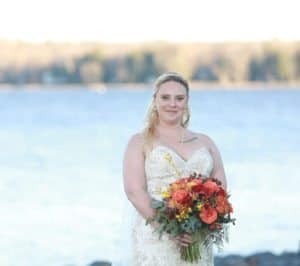 Many brides are scheduling bridal portrait sessions in their dresses prior to the wedding day or making sure there is time on the wedding day to take formal portraits of themselves in their bridal dresses. After all – you spend so much time picking out your dress and making sure you look absolutely perfect – you should document all of that hard work! Another option? Formal, couple portraits which show traditional, styled shots of the couple. The first look between bride and groom has been popular (see my blog, Should you Do a First Look?) but gaining popularity now is a first look with the bride and her father (ok, I lied, THIS is my favorite). The wedding day can get so busy – so HAVE a tender moment between Father and daughter before that walk down the aisle. 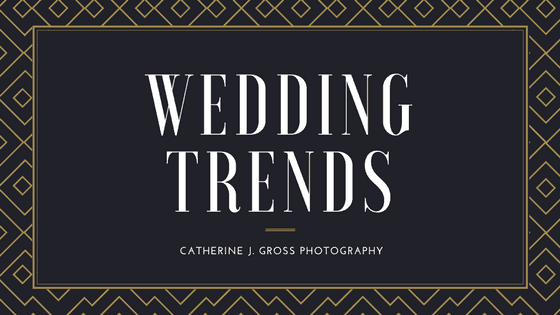 What do you think of these 2018 wedding trends? Are you planning to use any in your upcoming wedding? I’d love to hear from you!